The Tundra Swan breeds in the north of Russia. In winter they visit western Europe in large groups. Characteristic is the small yellow spot on the beak. 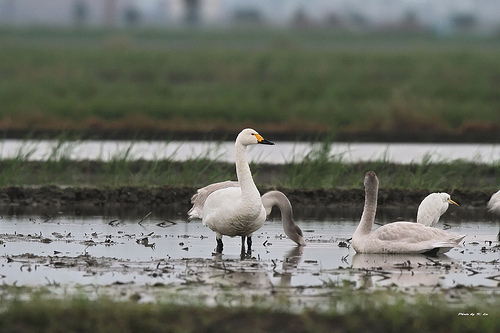 The Tundra Swan is considerably smaller than the Whooper Swan. The beak of the Whooper Swan is almost completely yellow, the Tundra Swan only has a small yellow spot at the beginning of the beak. 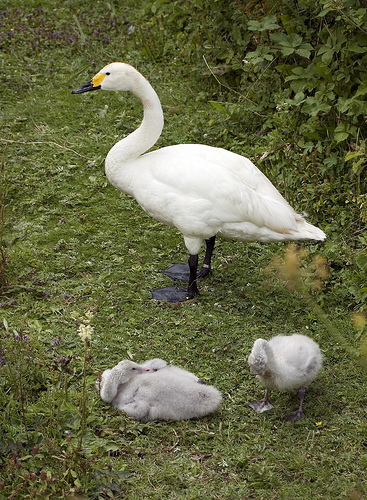 The Tundra Swan has a yellow and black beak, the Mute Swan has a red or orange beak. The Tundra Swan is considerably smaller.